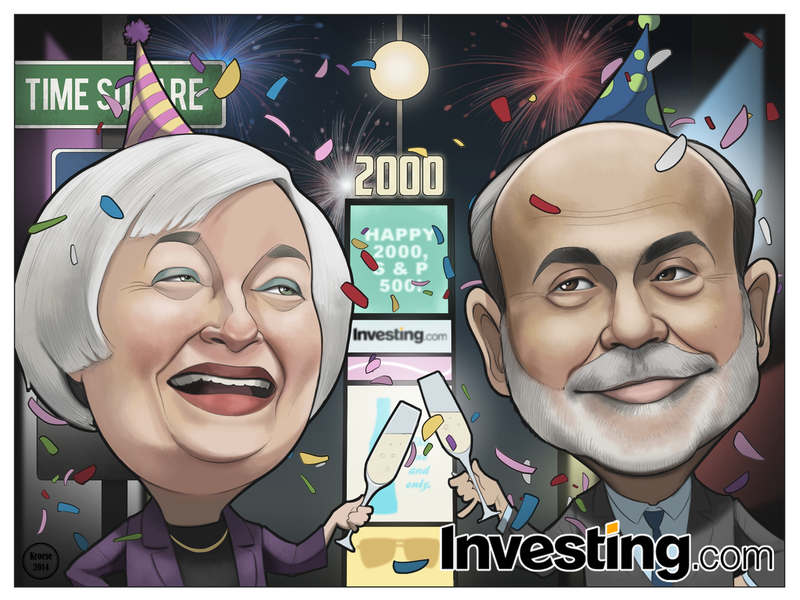 This week the Standard and Poor's 500 closed above 2000 for the first time. There is some question as to whether or not the index will remain at that height for long, however. 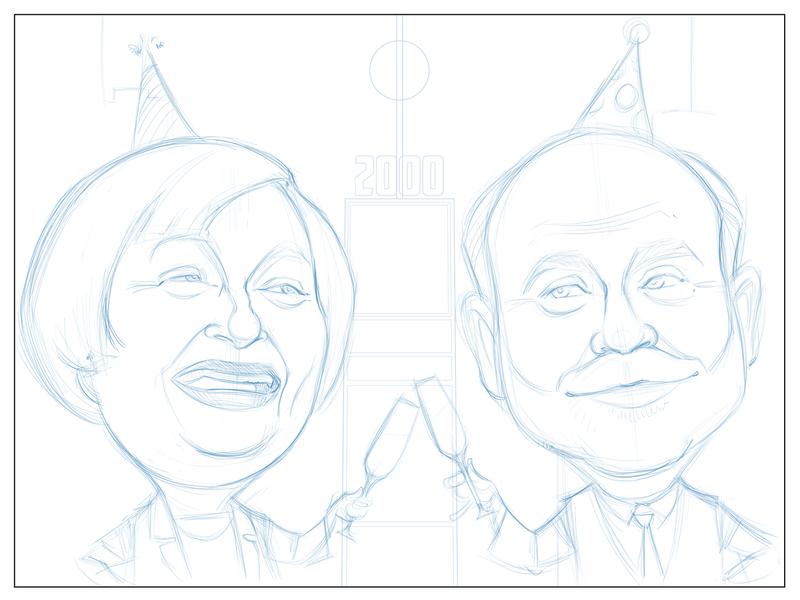 In light of this news, the crew at Investing.com asked me to draw a comic that showed Janet Yellen and Ben Bernanke standing in Time Square celebrating with the New Year's Eve ball dropping in the background. I was also asked to include confetti and fireworks. 1.) Confetti is fun to draw. 2.) Janet Yellen isn't the most expressive human being in the world, but compared to her predecessors, she's Jim Carrey. 3.) Time Square is not so easy to draw. I tried a bunch of different approaches and I'm still not sure I was terribly successful in drawing the recognizable landmark. Which is why I cheated and put a big sign in the background that says "Time Square". That's the great thing about comics: When in doubt, label it. I learned other things, too, but I'm going to call it a day. Overall, I think this comic cuts the mustard. I'll give it 2000 points, though I'm not sure how many total points are on the scale.